Looks like Mark Zuckerberg made yet another good decision by adopting Facebook for $19 billion in 2014 when the messaging app had only 450 million active users. In the past few months, WhatsApp has shown immense surge and even surpassed Facebook’s own app in popularity. In September of last year, WhatsApp had more monthly active users than Facebook on both – Android and iPhone platforms. 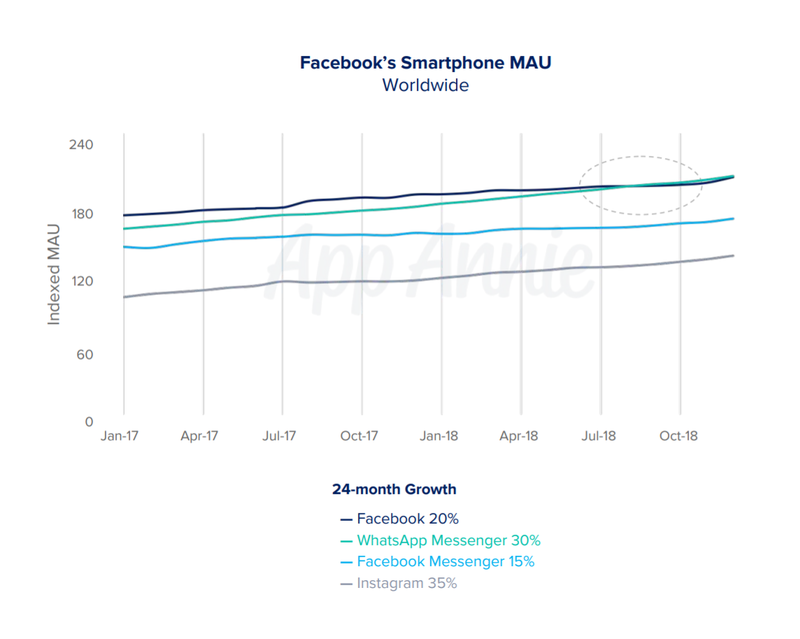 In its current “State of Mobile” report, the research firm App Annie claims that WhatsApp has maintained its lead over the Facebook app since September. It is also downloaded more times than Facebook in the year 2018. 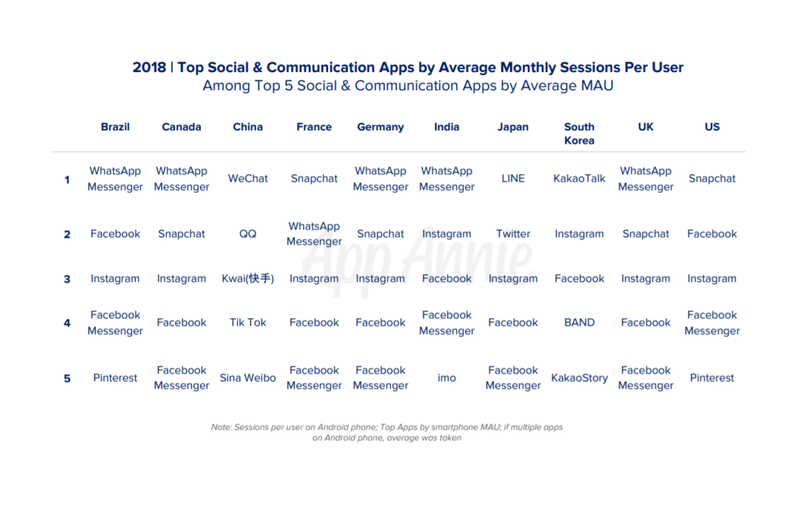 In fact, the App Annie reports that in several markets (such as India, U.K., Singapore, Canada, Germany, and Brazil) WhatsApp remains at the top. However, in the U.S, Facebook and Messenger took the top thorn while WhatsApp did not even make the top 10 listicles. A spokesperson of WhatsApp refused to comment on the findings of App Annie and said that the messaging app will not be sharing any new figures at the moment. Facebook's reluctance to share the number of WhatsApp users stands in contrast to the app’s early days when it used to brag about its user base growth every few months. In fact, when revealing Q3 2018 results, Facebook CEO Mark Zuckerberg did not make WhatsApp’s active user base transparent and only shared the overall reach of all apps under the Facebook’s umbrella. The last time Facebook shared the figures of WhatsApp was during Q$ 2017 earnings call in January 2018. During that time, the CEO of Facebook revealed that WhatsApp had 1.5 billion monthly active users. However, the company did not share any other information such as message sending frequency on new year’s eve or how many people use their app in different markets predominantly India, its largest market.